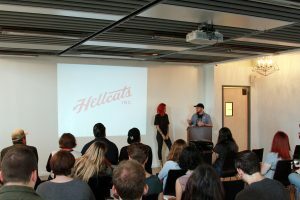 Our first “Speaker Series” event was a success thanks to the fabulous duo that is Hellcats Inc. 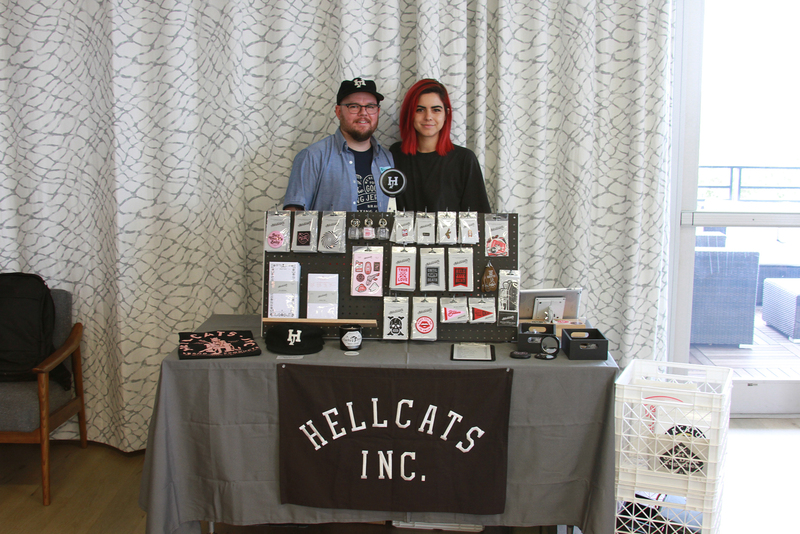 Being inspired by the husband and wife team, Clark Orr and Brittany Reagan of Hellcats Inc. was a pretty great way to spend a Saturday morning. At Rooftop 220 with waterfront views of the river and downtown Tampa, we kicked off the morning. Enjoying delicious treats from Puff ‘n Stuff and sipping on refreshments, we kicked off with student portfolio reviews and a chance to network with like-minded individuals. Once the portfolio reviews were complete, the talk was underway. It didn’t take long for Hellcats to get through their origin story, and the audience was hooked. Not even the classic Y.M.C.A. song blaring from a festival on the waterfront below distracted our attention from the inspiring talk that was raining down on us. 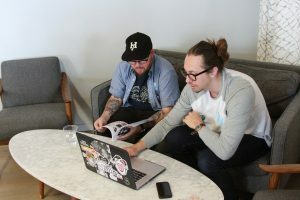 Not many companies survive even the first 6 months when starting up, but Brittany and Clark have a great unity and are modest enough to admit one could not have succeeded growing the company alone without the other. Brittany and Clark really took the steps to define the dark yet fun soul of Hellcats Inc., and the roles they each take within the company. Each recognizing their own strengths and weaknesses which helps them find a perfect balance. 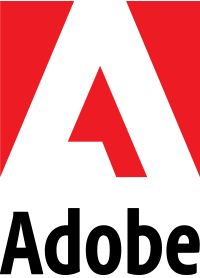 They were generous enough to give us a peek behind the curtain of production and share their secrets, even in an industry where production tips are considered confidential. With their encouragement, we excitedly had our cellphones in hand ready to snap pictures of their pro tips. 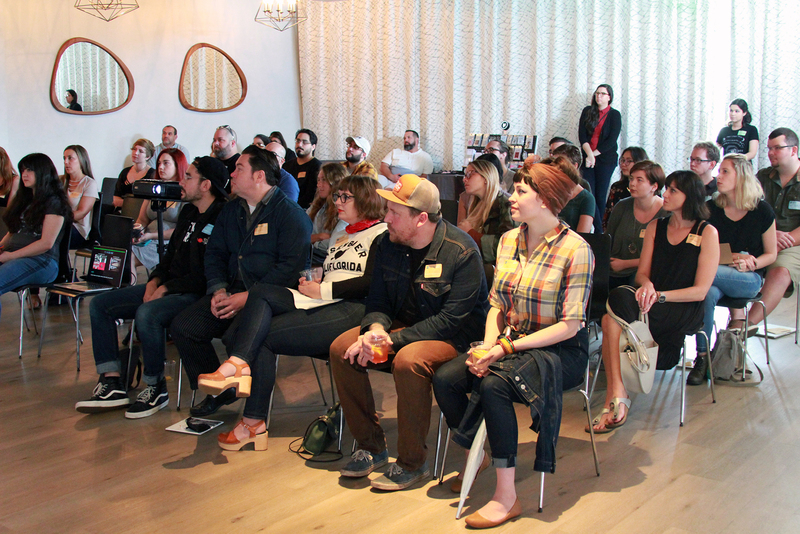 By the end of the talk, many of us left inspired and excited to pursue new projects. 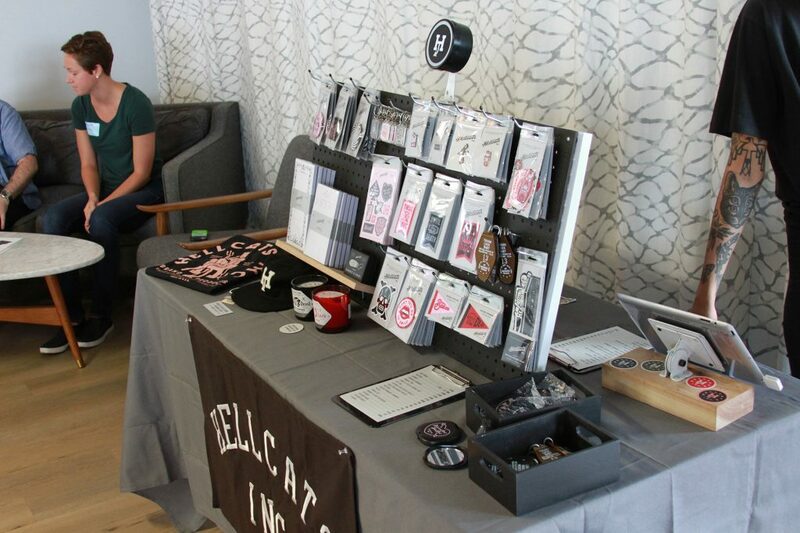 Thank you Hellcats Inc. You did a fabulous job, we look forward to following the growth of your company!